To launch your boat call us on 023 9323 3199. Tell us the name of your boat, the time you are arriving, roughly when you expect to come back in and your mobile telephone number. We also have an online booking system , you simply log in and book the boat to water, maintenance etc. What happens when we get your message to launch? 1. When you decide you want to use your boat, simply call us telling us your launch requirements. We operate seven days a week, 365 days a year and can generally guarantee a launch slot with as little as 1 hours notice! We’re the fastest boat park on the Solent! 2. 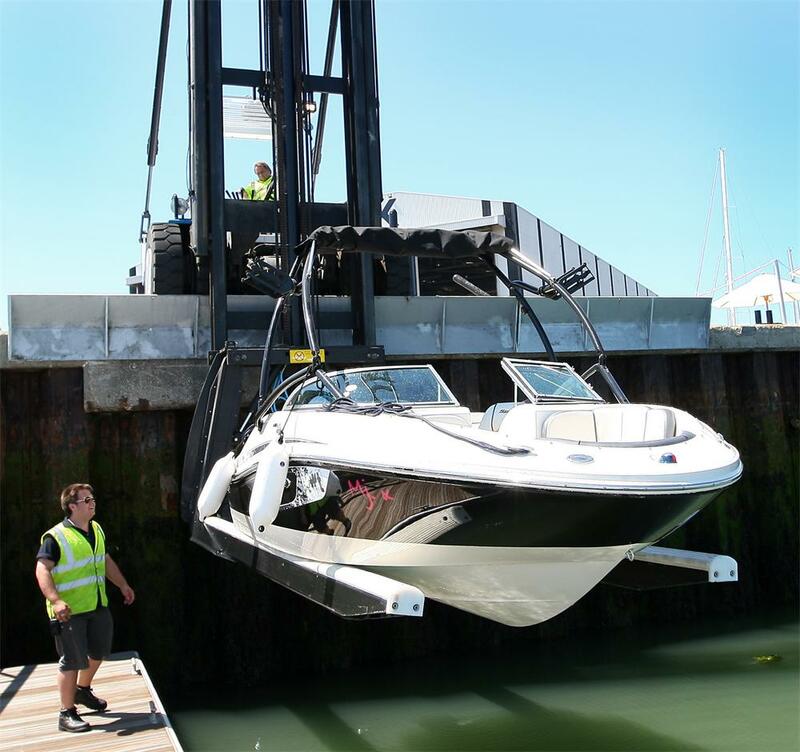 Once we receive your instructions, our highly trained drystack operators will move your boat from our inside storage facility to the holding pontoon – ready in time for you to arrive and use your boat immediately! Your no hassle Portsmouth boat berth. 3. When you return from your day on the water, simply leave your boat on the holding pontoon and we ensure that your boat will be given a fresh water wash down and returned to her secure dry stack space in our indoor facility. We’ll also inspect the hull and let you know of any problems. Please don’t just turn up and expect your boat to be ready! The Drystack boat storage at Trafalgar Wharf is about not waiting, so please remember to call. Find out more about other facilities for undercover boat storage clients of Trafalgar Drystack Portsmouth.